People love to get outside and move, especially when it's for a good cause! 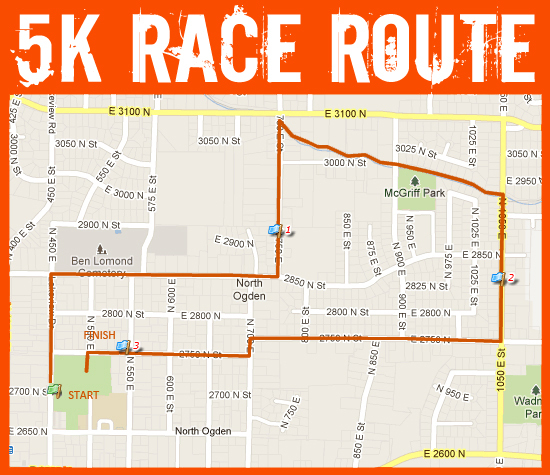 Make your next event a 5k to bring some more fun to your fundraising. Take a look at where other local organizations have held walks or runs in the past. Get in contact with the city about what potential routes could be available. Make sure it's near public transportation so participants and spectators don't have trouble getting there. Pick a date well in advance so people have the chance to get it on their calendars. Take a look at sites like Eventbrite so you are aware of any potential conflicts people may have, and that there are no other walks or runs on the same day as yours. There are many not-so-fun things you need to keep in mind while planning your 5k for charity. You will need to provide things like medical care, an on-site ambulance, insurance, restrooms and waivers for runners. Do your research and make sure you are following all state and city laws. 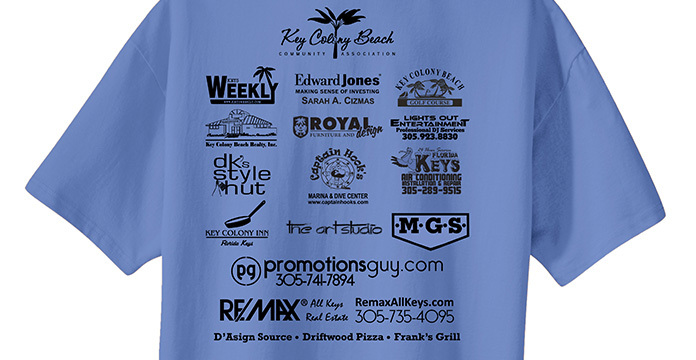 Make sure you lock down sponsors early so you can promote their brands on your website, t-shirts and signage. Get in contact with restaurants located at the end of the race route and see if they'll sponsor you and offer special discounts for hungry runners! One option is to charge a relatively low registration fee (around $30) and then provide people with a way to donate on-site the day of the event. This option is great for a smaller, less established 5k. Another option is to require a large, minimum fundraising requirement for individuals or groups to participate (upwards of hundreds or thousands of dollars.) This approach is better for bigger, more established walks or runs. To make this event run smoothly you will need plenty of extra hands. You can advertise "volunteer postings" on websites like these or get in contact with a local school, church, fraternities or youth groups to get large groups of helpers. Check out our tips on keeping your volunteers engaged with your organization. Post about the event on all platforms; check out some helpful tips here. You can even consider live streaming the event so nobody misses out! Devote a page of your website to promoting this event, or even consider making a new website page for your 5k for charity. Always include a "donate" button so there is an easy way for people to contribute additional donations. Reach out to local media outlets, such as newspapers or radio stations, to do a piece on your event. 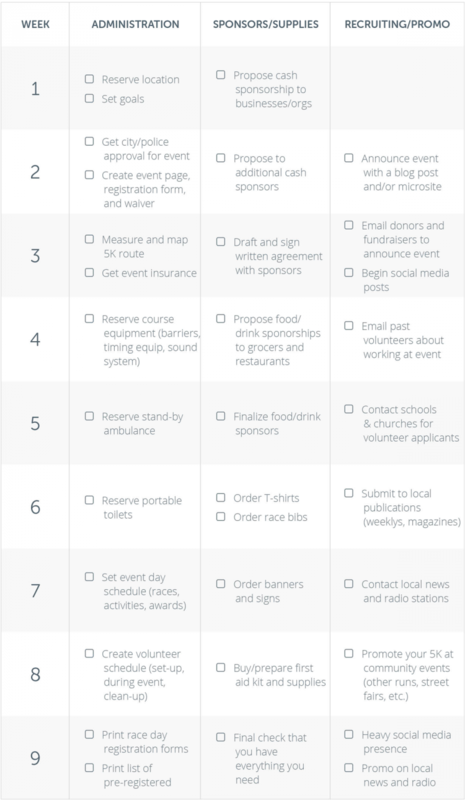 Assigning volunteers to specific areas, keep members of your staff designated for "damage control"
Follow this "Guide to Planning a 5k for Charity" and you will be all prepared for the big day! Remember to follow up and thank everyone for coming and contributing to your cause. Also, share your success numbers so everyone (donors, volunteers, staff, attendees) can feel accomplished after all their hard work!